The K8695T features an angled grease fitting that allows it to be serviced easily, allowing you to flush out those contaminants and keep the joint lubricated. Does your truck pull to one side? Maybe it's starting to lean a little farther while taking a corner? These are two common signs of a failed ball joint. You probably got your Heavy Duty vehicle to do some Heavy Duty work right? Unfortunately, not every part of your truck was designed to handle that for extended periods of time. 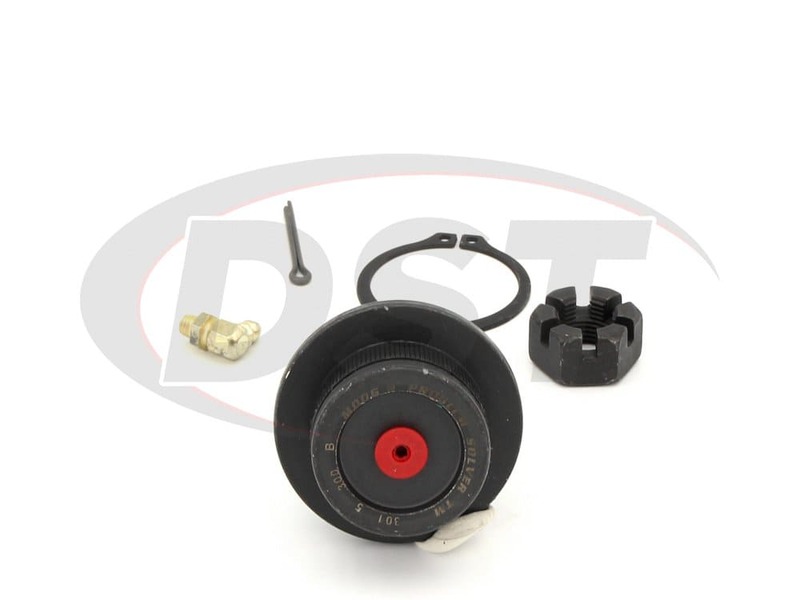 The OE ball joint installed on your truck was designed using a plastic bearing which, for heavy-duty vehicles such as yours, simply can't hold up under the stress. After several heavy loads and long drives the plastic bearing will wear through, not only loosening the ball joint, but also allowing harmful road contaminants inside, damaging and corroding it even further. If contaminants do get into your OE ball joint odds are good that it isn't serviceable, meaning you couldn't get those contaminants out even if you wanted to. 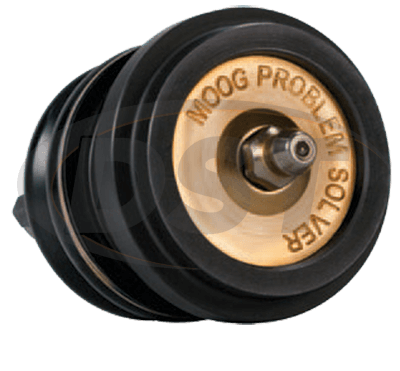 To address these issues Moog Problem Solver has designed the K8695T Front Lower Ball Joint. The K8695T features an angled grease fitting that allows it to be serviced easily, allowing you to flush out those contaminants and keep the joint lubricated. Another upgrade is the metal "gusher" bearing that is used instead of a plastic bearing. 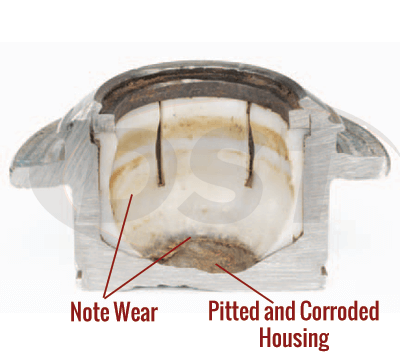 This all-metal bearing is not only more durable, but its design redirects vehicle loads into the housing, reducing stress on the joint itself.  Not only that, but the metal this bearing is made of is actually porous! 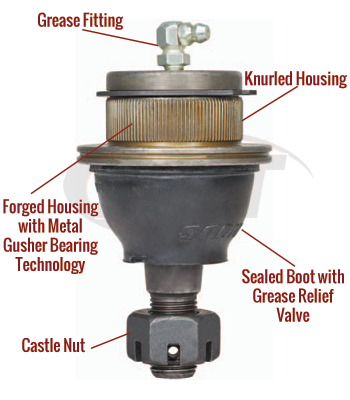 This allows grease to evenly distribute over the bearing, making the ball joint perform more efficiently. Secure Install, No Matter the Situation! In order to help secure the joint after installation Moog designed a knurled housing, allowing the joint to better grip the control arm. In addition, Moog added a snap ring to further increase the joint's stability. Now, there's a chance that the receptacle in the control arm where your ball joint sits has been worn down as well. If this is the case then you should check out Moog's K8695T006, an oversized ball joint designed specifically for that situation. All of Moog's Parts are covered with lifetime warranties handled in house here at DST. Parts fit perfectly, would order again. Feels a lot sturdier than the last ball joints I installed. I have been a mechanic for 29years, i never had a problem with MOOG, once I replace a front suspension part with MOOG it was life time until now. 4-5 years ago I bought two lower ball joints for a Chevy s-10 pick-up and they went bad in 2 years! Why? because MOOG sold OUT! they let a cheap, cheap, cheap, manufacture make there parts and put there name on it. So after purchasing the parts direct, I hope a get the parts that where made from Moog. If they do not last and I think there from a cheap manufacture, I will put that on Face Book and twiter. Editors note: The ball joints and tie rod ends we sell are MOOG parts. They carry a limited lifetime warranty. 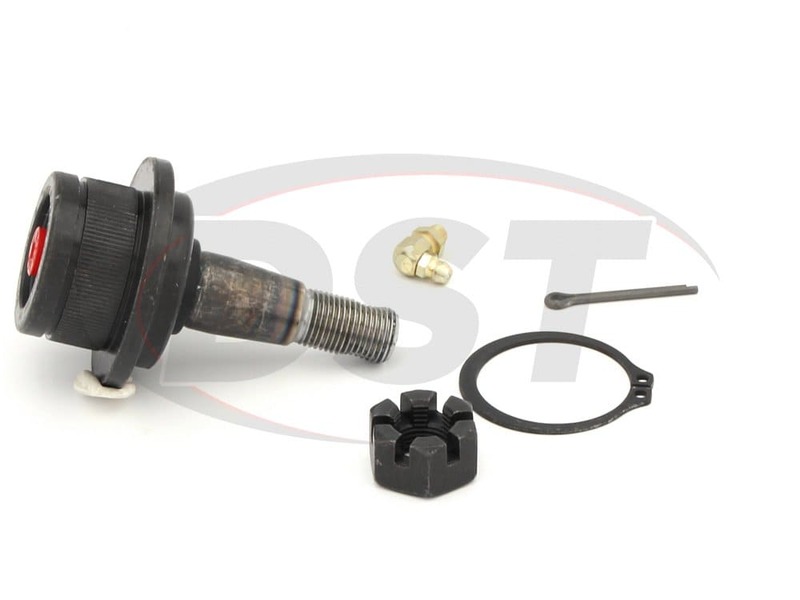 Moog-K8695t -Front Lower ball joint-Are there two different kinds of k8695t joints? It appears on the parts screen and if so why is there not an outer boot on the other type. 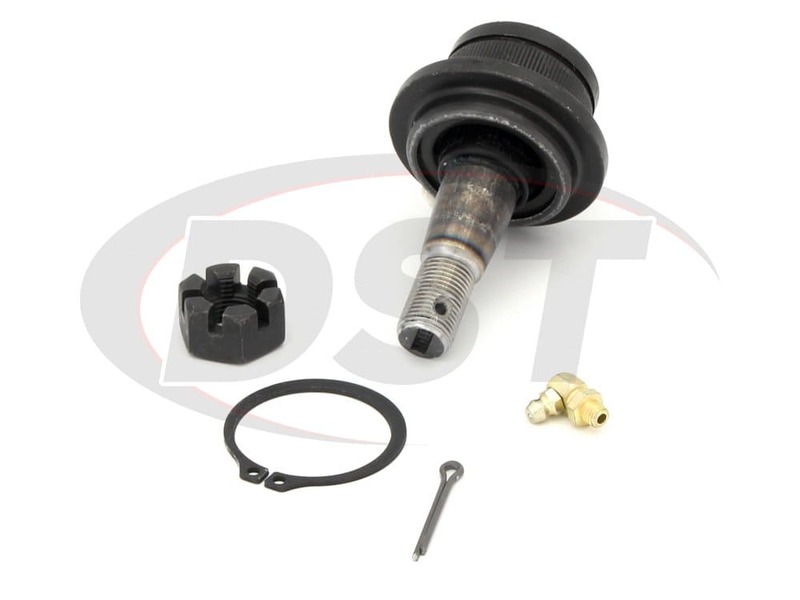 K8695T - Do the lower ball joints on a 2001 F150 need a rubber dust boot? Moog-K8695T will have an integrated dust boot. This boot is actually built into the ball joint housing to help protect it from damages. You can see this boot at the base of the ball joint stud. Will part number k8695t fit my 2003 ford f150 4wd? Yes, part number k8695t will fit the 2003 ford f150 4wd. Do you sell just the rubber dust boot, mine has torn and I need to replace it. No, Moog does not sell just the dust boots by themselves. 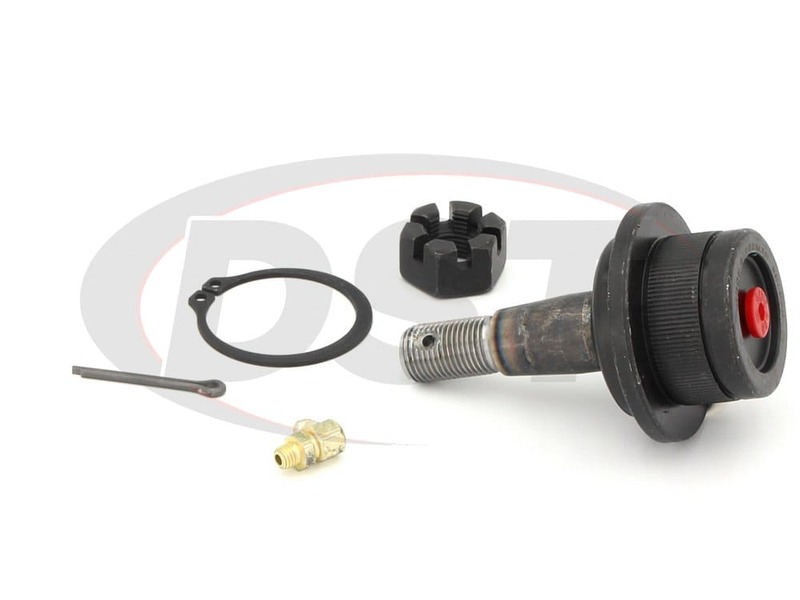 Is part number k8695t fitted for my 2005 Ford Explorer? Yes, part number k8695t will fit the 2005 Ford Explorer. When greasing the moog-k8695t with the integrated boot do I need to grease it until the boots inflates out? Does part number k8695t not come with a new dust boot? 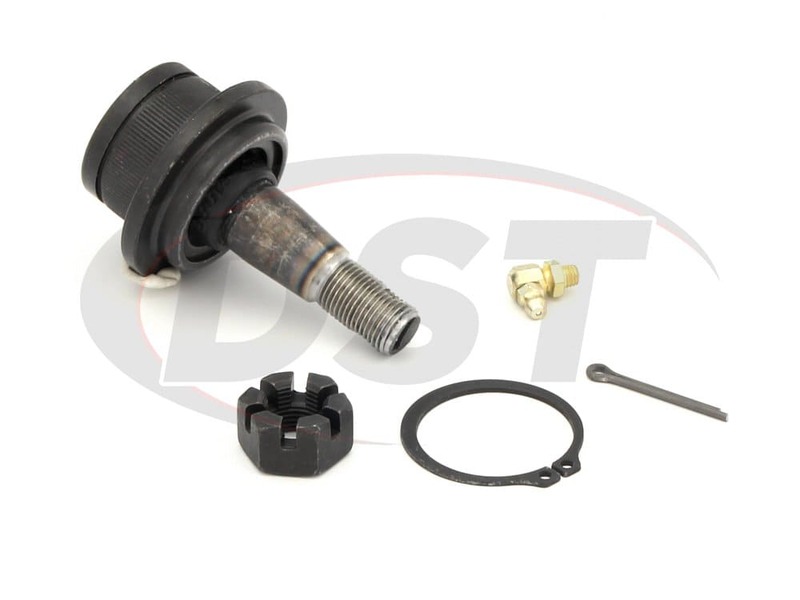 I have read that these ball joints k8695t don't fit OEM control arms is that true I want to replace both upper and lower ball joints for my 99 Ford Explorer Eddie Bauer four-wheel drive. Can you help me out, please? What kind of grease and how often do I need to grease the moog-k8695t? You will want to use a 100% synthetic grease and grease the moog-k8695t every other oil change depending on use. MOOG-K8695T Front lower ball joint: does ball joint require pressing in? 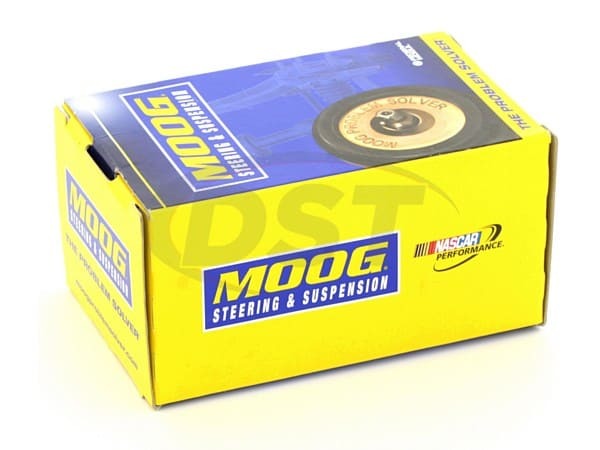 Moog-K8695T will require to be pressed into your lower control arm.